The home of the newest, and most colourful, 4×5 large format film camera to hit the market. 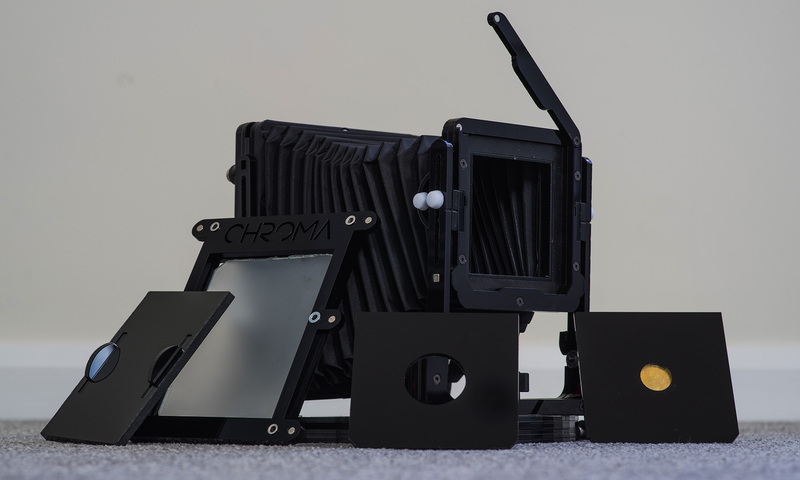 Chroma is a brand new large format technical field camera, assembled from laser cut acrylic and available in a selection of colours to suit your own personal style. The camera uses a technical front standard for creative control and folds down to a compact size for “grab and go” photography. For full details, please see the Kickstarter campaign. We Did It! Chroma is now ready to go at 450% funded! These are all future developments for Chroma. The Kickstarter campaign is specifically for the 4×5 technical field camera which accepts standard large format DDS (Double Dark Slide) and Fujifilm Quickload film holders which are readily available, both new and used.